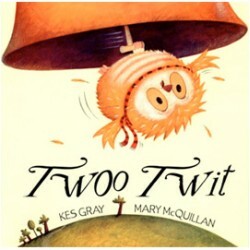 Owls are supposed to be wise, but Twoo Twit is anything but! He loves playing on haybales and playing poohsticks, but he really doesn't like going to school. Until one day when he goes to play in the church tower and gets the fright of his life! Suddenly, he realises that learning to read might actually be a good thing!